It happens all too often. You get turned on to the wonders of advertising through Google AdWords, only to have a hastily organized campaign run up thousands of dollars worth of clicks. You have no idea how you're going to pay for those clicks, and you don't have any sales to show for your trouble. AdWords can be an amazing sales-generator. The wonder of the tool, though, shouldn't detract from the cold-hard marketing math behind producing an ad that not only produces clicks but also sales. The good news is that Google actually charges less per click if your click-through-rate is high, if your ad actually appears to be useful to the people who search it up. Google provides free tools such as its keywords tool to help, and there are also independent sites such as Wordtracker than can help with looking up effective keywords. My advice is to initially set a low daily budget -- maybe $5 to $10 a day -- so you won't spend too much as you get the hang of the experience. Next, there are common mistakes that Google and its reps likely won't tell you -- because they won't be able to make as much money off of you. Don't throw in 'everything but the kitchen sink.' The siren-song temptation is to insert every keyword that could possibly apply to the business so that anyone who might ever be possibly interested will enter in one of the numerous keywords and discover it. Doesn't a dry cleaner want people to know it is "eco friendly" and "uses green products" but is also "same day?" Oh yeah, and it's a "discount dry cleaner" that happens to be "organic." The problem is that by being everything to everybody, you appeal to no one. Instead, package a campaign with keywords that target a particular type of customers, and then send them to a page on your website that is suited to serve their needs. Don't be in-your-face. People searching on Google don't respond a lot to over-the-top advertisements. Nor do they respond to ads that are boring. 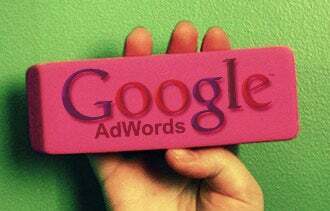 What is most important is to use the AdWords keywords tool or Wordtracker to figure out the terms prospective customers are likely to use to find your business, and then include them in the ad headline. The headlines might look boring to many people, but they will be exactly what you're customers are looking for. Then show them the benefit and payoff of your product or service right away, and you're on your way to having an ad with a higher click-through-rate. High click-through isn't always the best goal. There's a lot of talk about the importance of click-through-rate. After all, you save money if it is higher. But what is the point if the large net you cast doesn't reel in any customers? Better to write an ad that calls out to precisely the type of customer you are looking for. If you're selling "sheepskin covers for Ford pickup trucks" that are "custom made," make that your ad, even if the amount of people looking for that might be low. That way, you avoid click-throughs from people looking for something more general. Don't let Google help you. I often hear from a business owner who was contacted by a Google representative offering to "optimize" his or her ad campaigns. In fact, the most popular Facebook post I've ever put out was when I said, "Have you ever allowed Google to 'help' you by editing your AdWords campaigns? How'd it turn out?" You can see the fury of responses that I got here. I have rarely heard from a client who did not report that this was an unmitigated disaster. AdWords is an amazing creation. But Google's reps simply don't know how to build a great AdWords campaign because they've never had their own money on the line. Avoid these mistakes and learn through some trial and error, and you will be on your way to an AdWords campaign that produces results. This article is an excerpt from The Ultimate Guide to Google AdWords, 3rd Edition available from Entrepreneur Press.